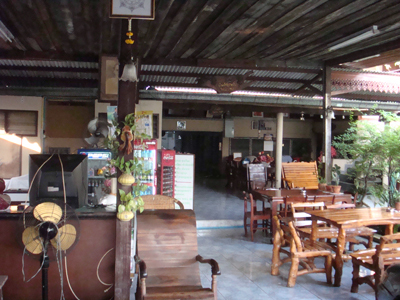 The guesthouse is situated in a renovated traditional Thai-style house. 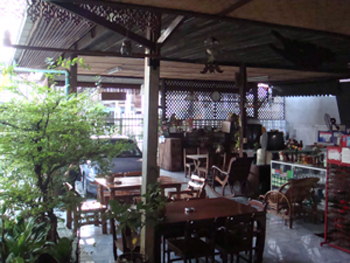 The house features a large, covered outdoor area, perfect for lounging around and drinking a cold beer after a long day exploring the city, or for meeting other fellow travelers from all over the world. 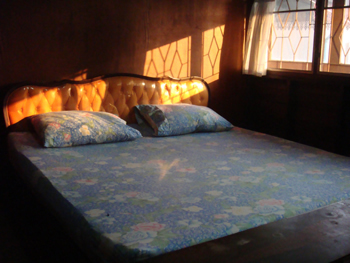 Upon returning to your comfortable room at the guesthouse, you will be greeted warmly by the house owners, a Thai family who will treat you just like you are a family member. Then its time to watch the sun set and have a delicious plate of Pad Thai made by a real Thai street vendor.